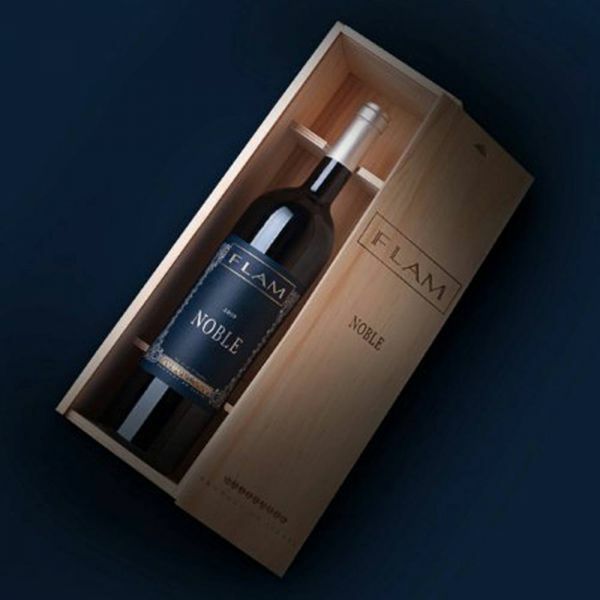 Varietals: FLAM Noble is a blend of 61% Cabernet Sauvignon, 17% Petit Verdot, 11% Merlot & 11% Cabernet Franc sourced from our very best plots in the Dishon & Ben Zimra vineyards (Upper Galilee) and Mata (Judean Hills). The grapes were carefully selected, and hand-harvested in the early morning hours from old, low-yielding vines. Vinification: At the winery the grapes go through a rigorous sorting process and are then destemmed and crushed. The fermentation takes places in stainless steel temperature-controlled vats at 26-30C° for 20 days with regular remontage in order to extract colour, aromas and classic varietal character. The wine is then pressed, left to clarify naturally, and is being moved to our cellars for ageing. Maturation: The wine ages in new French oak only, 22 months in 85% new French oak barrels & 15% one year old French oak. After bottling the wine is aged for additional 24 months in our cellars. Ageing Potential: Drinks well now but will improve over the next 8 to 12 years. About the Vintage: 2011 was a very good year. Late rains in April helped the soils to retain a good amount of water and made irrigation almost unnecessary. e summer was very mild with no heath waves or extreme temperature dierences. is led to a longer than usual ripening period, a late harvest and grapes with very good balance between sugar and acidity. Winemaker’s notes Rich ripe fruit on the nose with a touch of spice and a hint of fresh green notes. The palate is complex yet restrained with silky tannins and an elegant spicy robe. The Fresh acidity balances the intensity of flavours and the finish is long and intense.